Roofs were quite steeply pitched, especially those with Gothic influence. The earliest material (after bark) was wooden shingle, made by splitting lengths of treetrunk, usually sheoak (casuarina), and laid overlapping. Corrugated iron, coated with zinc to resist corrosion and then painted, was an early product of the Industrial Revolution. 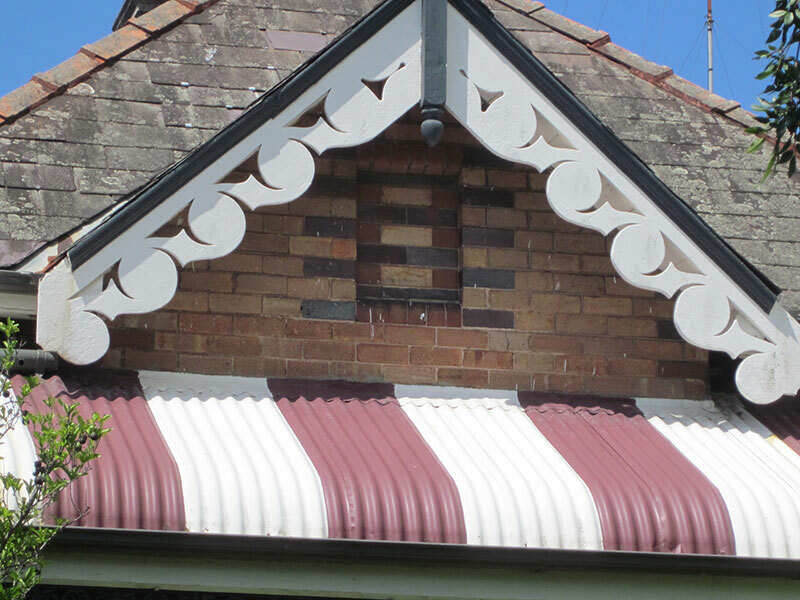 It remained popular for verandah roofs especially, because it was relatively light and could be rolled into attractive shapes, of which bullnose was the most common, then painted in contrasting panels. However for the main roof slate became the popular choice, imported from Welsh quarries. This could also be used in a variety of shapes and sizes, and was increasingly combined with terracotta ridge capping. Slate fades with exposure to sunlight, and the southerly aspect often acquires a grey-green lichen some find organic and attractive. Marseilles tiles (popular in Sydney from 1900), which are cheaper, interlock and require less skill to install were first manufactured unglazed. More durable glazed tiles replaced them and are still very popular. The triangle formed when the two sides of a roof terminate is called a gable. Complex roofs can form a number of gables, and these are increasingly ornamented with carved wooden bargeboards and plaster mouldings. The apex of a gable is sometimes crowned with a turned wood or terracotta finial. Where a room was built in the roof space it was common to give access to light and air by inserting one or more dormer windows, normally an ordinary sash window projecting from the roof, but with its own little gable. The projecting part was often clad in timber, sometimes shingles. 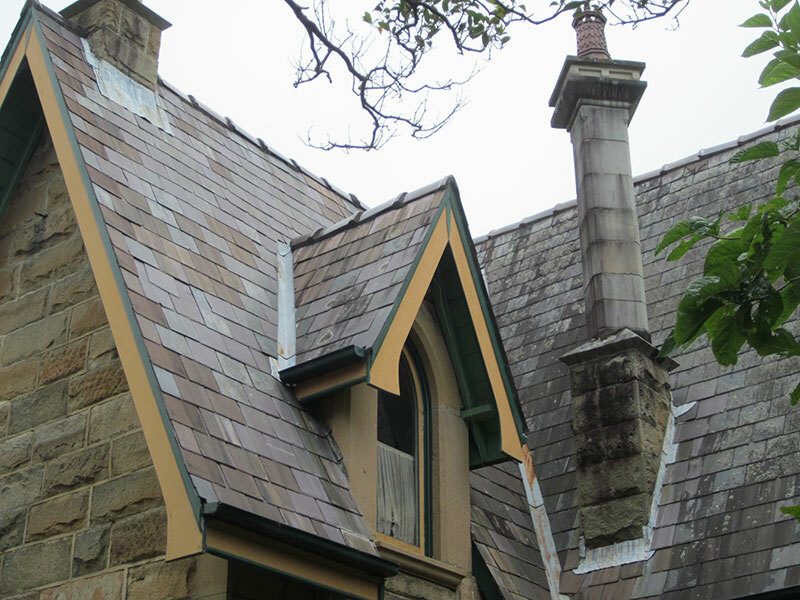 There are only a few such dormers on this walk, but they are quite common in all periods in Glebe, and remain a frequent addition when roof spaces are occupied.